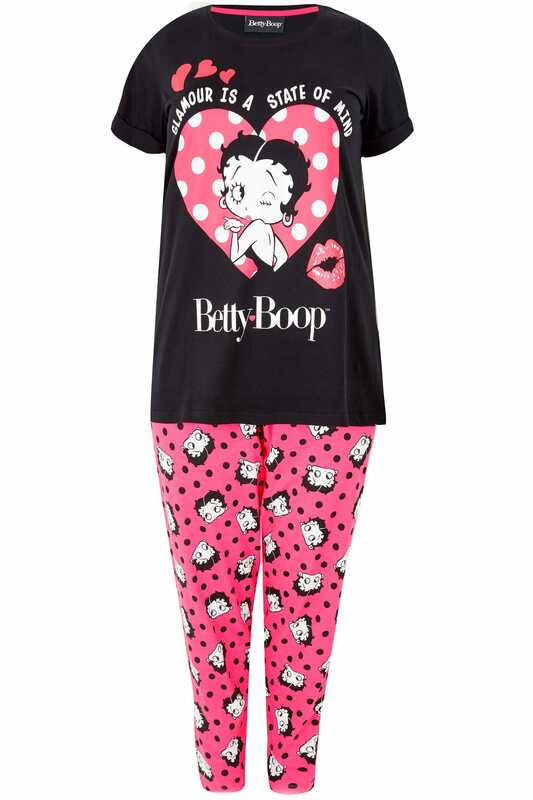 Top length from (approx): 76.5cm/30"
Inner leg length from (approx): 76cm/30"
Add a playful update to your nightwear collection with this statement Betty Boop pyjama set. Made from 100% cotton, the chic top features a simple scoop neckline, short sleeves and a slogan print. Printed with a polka dot and Betty Boop design, the trousers feature an elasticated waistband for an easy and comfortable fit. 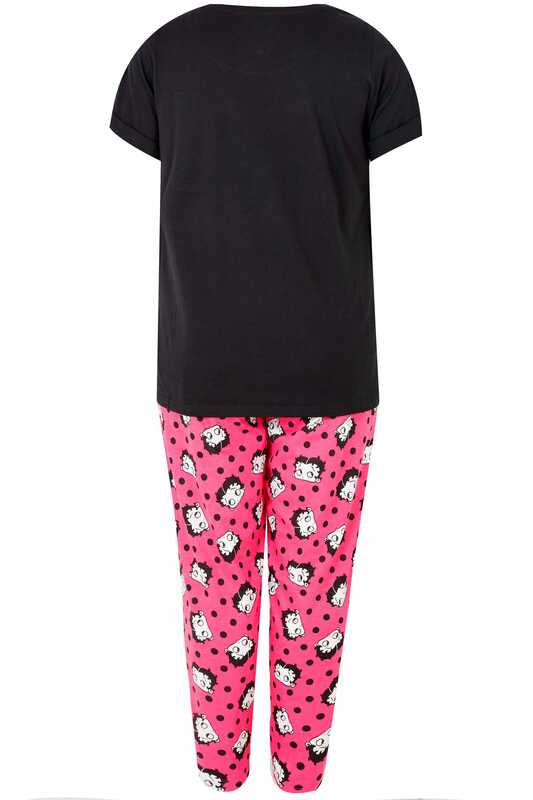 Playful and iconic, this pyjama set is a firm favourite in our sleepwear collection.